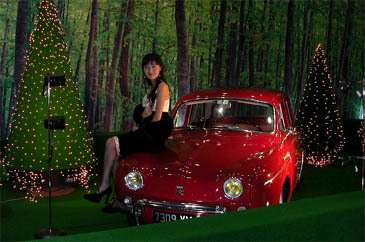 For Asia's First "2004 Int'l Classic Motor Show"
Here they came, in all their prestige: the worldwide classic cars that have been seen in black and white films and history books. 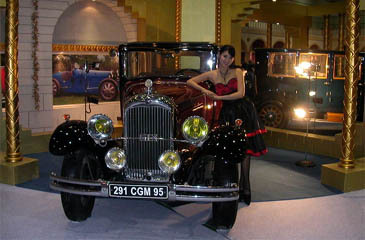 "The 2004 International Classic Motor Show" offers a glance at the centenary history of the auto industry with more than 50 unique and rare classic cars from around the world produced from the late 1880's through 1940's. 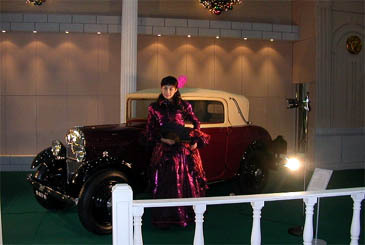 The first classic motor show in Asia, opened Dec. 20, 2004 and will run through Jan. 5, 2005 at the Pacific Hall in the Convention and Exhibition Center (COEX), in Samsung-dong, southern part of Seoul. 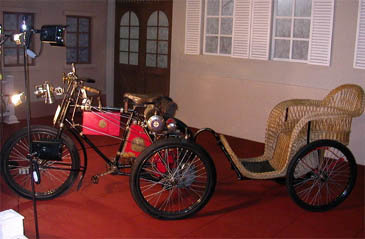 The 1899 Dion Bouton "Tricycle" attracts audiences' attention. 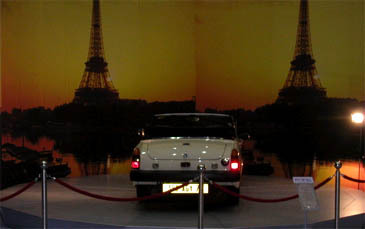 The auto exhibition is hosted by Eurosky, a joint Korean-French exhibition planning company, and sponsored by diverse related organizations including the Ministry of Commerce, Industry, and Energy, the Seoul Metropolitan Government, the French Embassy in Seoul, the European Union Chamber of Commerce in Korea (EUCCK) just to mention a few. 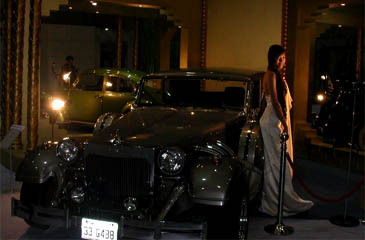 Instead of exhibiting just the cars, the event focuses more on the presentation of the history and culture of the world's auto industry. 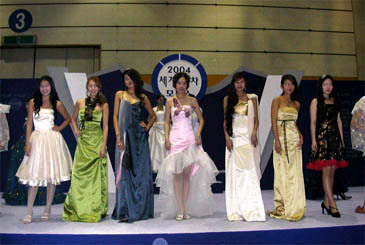 The exhibition hall is divided into seven sections based on a time line. 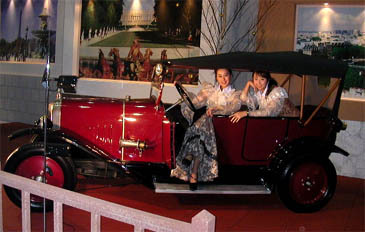 Audiences can easily observe the shift of trends reflected in automobiles with the customs and cultural characteristics of the particular eras. 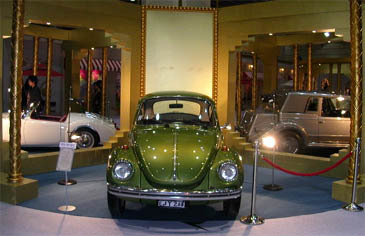 The exhibited autos, mostly hand-made, are worth more than 3 billion won on average. Despite their age, these deluxe cars are still in good enough shape to run thanks to the devotion of their craftsmen and owners. 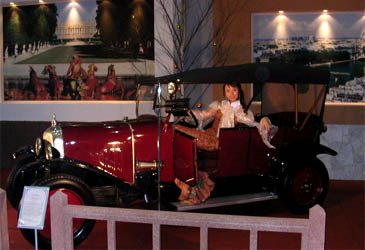 The 1898 Dion Bouton "Vis-a-Vis" has face-to-face seats. 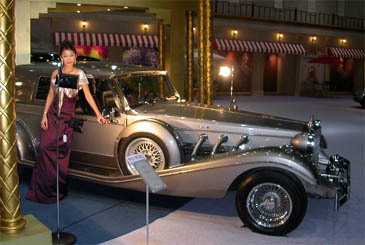 The 1937 Voisin "C28," which features an airplane engine, is the most expensive car in the show with a price tag of more than 5 billion won. 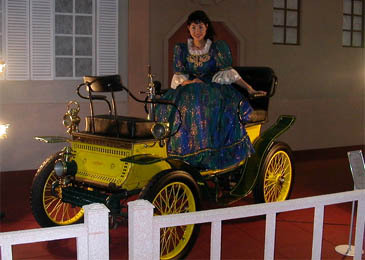 The oldest car of the exhibition is an 1898 Dion Bouton "Vis-a-Vis." This interesting vehicle has face-to-face seats for four people and is also worthy of close attention. 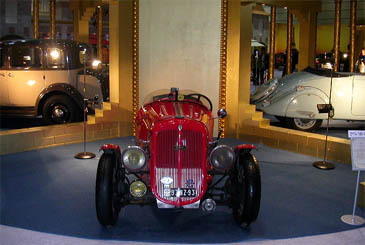 Other eye-catching classic cars displayed at the show are an 1899 Dion Bouton "Tricycle," a 1961 Renault "Ondine" and a 1935 DKW "TQM-DKW," which was popular among high-ranking Nazi members. 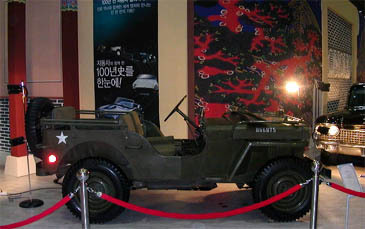 The exhibition also offers a glimpse of Korea's historic cars including 1960's Cadillac limousines used by former presidents Rhee Sying-Man and Park Jung-Hee and US Gen. Douglas MacArthur's 1945 Willyford jeep. The 1935 DKW "TQM-DKW" was popular among high-ranking Nazi members. 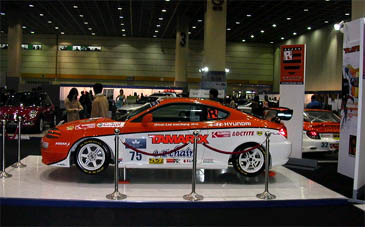 In addition to the vehicle exhibition, there are special daily events such as an auction for classic cars, a classic costume fashion show, and an autograph signing by a team of Korean entertainers who race cars. 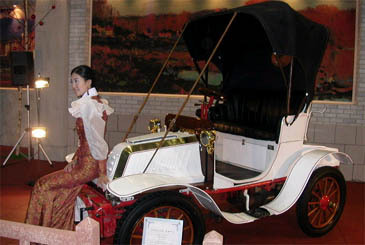 Choi Jin-Ho, CEO of Eurosky said that the show was planned to celebrate the centennial anniversary of the first car ever shown to the folks of the "Hermit Kingdom" in 1903. 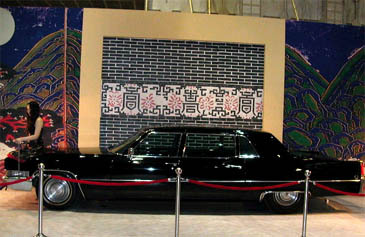 It was the first automobile imported to the Korea soil in celebration of the 40th anniversary of Emperor Gojong's enthronement. 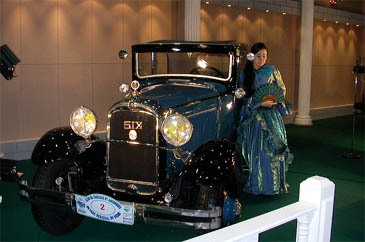 "As the event was planned as a celebration of history, unlike existing commercial motor shows, this exhibition will give children and students more opportunities for understanding the history and culture of the world's auto industry," said Choi. For more information call 02-508-3666 or 02-508-3696, or visit its official site.